ILM-NA0-0064C - I.L. Motorsport defroster trim - MiataRoadster - Stay tuned with MiataRoadster! I.L. 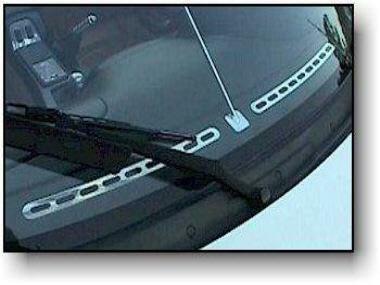 Motorsport chrome-plated defroster panels fit precisely over the ducts at the base of the windshield. 3M two-sided tape is used on the backs of the panels to keep them in place.